AdventureMaker.com • View topic - My projects are write protected? My projects are write protected? I'm experiencing a problem where, after I create a project, then exit and later restart the program, it won't let me reload the project. It claims that it is "write protected" and that I need to contact the authors. Please see the attached picture. Groan! Note - I'm working in Windows 8.1. Re: My projects are write protected? I've been in this situation before when WIndows 7 first came out. 1. Are you using the latest AM version (4.7.1)? It was updated to use "My Documents" to store your projects. 3. As administrator, try going to the Adventure Maker folder at: "\users\<your username>\My Documents\AdventureMaker\"
- the permissons should be checked on "Allow" for everything except "special permissions"
6. Its possible that AM didn't install properly. I would uninstall. then reinstall and make sure any antivirus is turned off and to install as administrator by right-clicking on the icon and selecting "run as administrator"
That's all I got for now. Please post back and let us know what you find out! Thank you both for your help! I followed the steps given, and ironically, now the light effect works (my other problem), but I still can't get into my old projects. Looks like I'll have to contact Giovanni. This is turning into such a headache - I may have to switch editors which is a bummer, because I had some good things worked out with AM besides this. Again, thanks. If you can think of anything else, I'd appreciate it. One other detail - yes, I am working with AM 4.71. I failed to clarify that in my previous post. In order to get the older projects to work in the latest AM version, you might need to update the audio video options. But it depends on what issue you are facing and if you did any scripting. Older project usually open fine once I pass the dialogue box warning me that the project was created in AM 4.5.2. The only problems I've encountered are with projects I've created in 4.7.1 and then attempted to reopen in the same version. I've tried creating short little "dummy" projects, closing, then attempting to open them, and the problem persists. I had the same issue when I first got Windows 7 and was setting up AM. According to V66, this might be due to Windows UAC. Have you tried shutting it off and testing? Here is the reply I got from Giovanni Albani (thank you!). It didn't help the projects that I previously created but cannot now access, but does resolve the problem for new projects. The problem happens when AM fails to properly create the file "Project.dat" that is supposed to be located at the root of the project folder. When that file is missing or when its content is incorrect, AM says that the project is write-protected and cannot be open. 1) Using Windows Explorer, create a new folder at the root of your hard disk named "am". In other words, create the folder "C:\am"
2) Launch Adventure Maker. When doing so, please verify that you get the prompt that says that the application wants to run as administrator and that asks you for confirmation. If you don't get this prompt when you launch Adventure Maker, the issue is probably related to the fact that the application is not running as administrator. To fix this issue, go to the folder where you have installed Adventure Maker (such as "C:\Program Files\Adventure Maker v4.7.1...\") and go to the properties of the executable file and check the option "Run as administrator". If this point is not very clear, please let me know and I will explain it in further details. 3) From within Adventure Maker, create a new project inside the folder that you created at step 1 ("C:\am\"). Make sure to name the project with a very simple name (no special characters, no accents, no spaces), such as: "test". This should have created the folder "C:\am\test"
4) Please try closing and opening the project with Adventure Maker. If you still get the message that says that the project is write-protected, please send me the project folder ("C:\am\test") in a ZIP file so that I can look into it. 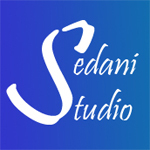 Thank you for posting, Sedani. I'm glad to hear you can work with AM again, but find it odd that you can't open older ones. Do you get the same error message when opening older projects? "Write-protected"? Yes, I'm getting the same error message when I try to open old projects. The key (at least in my case) appears to be (1) making sure the program is being run in administrator mode and (2) only using numbers and letters in the project name. Despite what is suggested in the email, I could even use spaces in the project title name when I followed these rules, but I'd be interested to know if that works with other people. When I do the aforementioned things, it doesn't appear to matter where the project folder is located. I'd be interested to know if others have run into this problem and if these (or other) steps resolved it. Thank you again, Reneuend, for your assistance. It ended up being a combination of what you and Giovanni suggested that alleviated the problem for me! I've only used letters, numbers, and spaces in my project names. I don't have to run as administrator in my case. I remember when I first got Windows 7 and set up AM, I had similar issues. Not only was I lucky enough to resolve it, but I created a dynamic link so I could store my AM files anywhere I wanted, I just redirected the system using the link. But since that time, AM was updated and the latest version has been working fine. I'm still running Windows 7 as it is my favorite OS. In your situation, did you check the box on the properties for the AM executable to run the program as administrator so you only need to do a single click to run AM? You can get to this from the Executable properties, Compatibility Tab. All the best! I'm glad you are up and running!